Vortech Plumbing & Drainage Inc. FLOODED BASEMENT OR DAMP CRAWL SPACE? 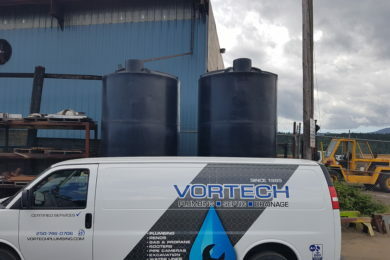 Vortech has been in business for over two decades offering a variety of specialized and always certified services to all our South island residents as well the gulf islands. Serving residential and commercial clients as well private and non-profit organizations and municipalities. Vortech has held a BBB A+ designation since it's inception in 1995. 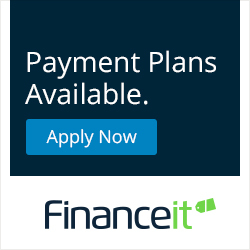 VORTECH PLUMBING HAS RECENTLY PARTNERED WITH FINANCEIT AND IS PLEASED TO OFFER FLEXIBLE MONTHLY PAYMENT OPTIONS. 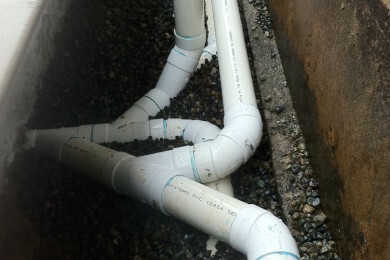 Vortech Plumbers Duncan BC has been in business for over 20 years. We have hundreds of satisfied customers and always a BBB A+ rated service. We provide a professional service for private and commercial customers on Vancouver Island BC. 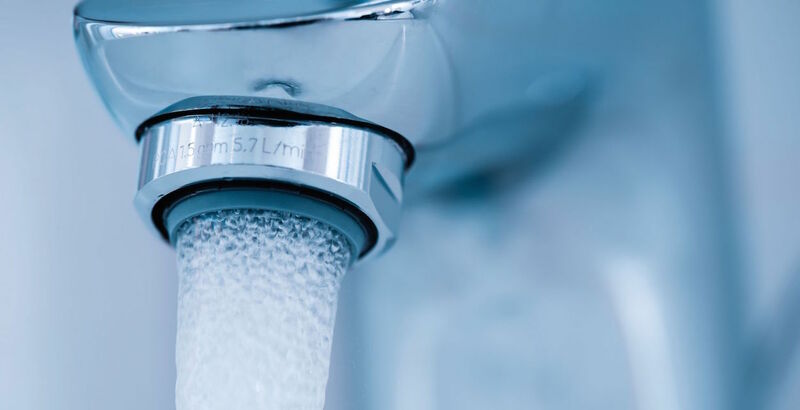 From leaking taps, hot water heaters, plugged drains, to full kitchen and bathroom renovations, you can expect fast, certified same day services. We are the islands #1 drain tile and perimeter drainage company. New installations, drainage servicing, pipe camera’s & excavators, we do it all! 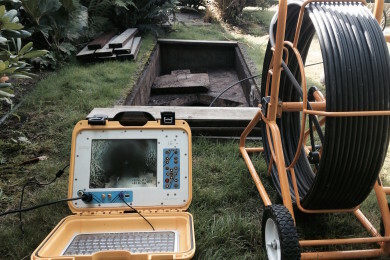 Need a septic inspection or a perimeter drain inspection?. Put our 20 years of trusted experience to work for you and book today online or call. Whether you’re looking for a new gas or propane installation or an appliance or heating system servicing, give us a call. Water and sewer line repairs and replacements; were always digging and always providing fast, economical solutions to business and home owners. 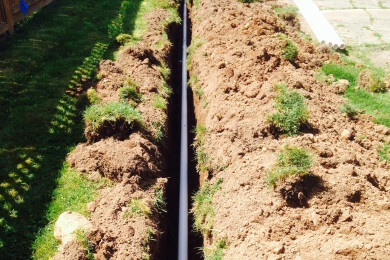 If your building a new home or renovating or your current septic system is having troubles and requires immediate attention, give us to call. 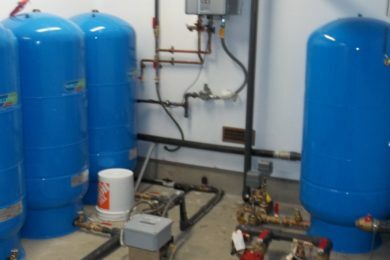 We proudly serve the pump installation and filtration industry for homeowners and commercial clients. 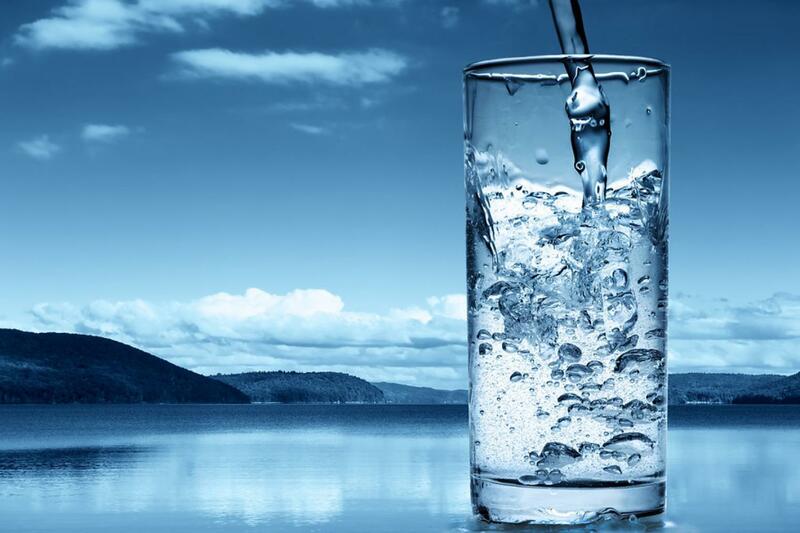 Our goal is to develop a safe, reliable, long-term water service for your home and businesses. From simple residential below counter reverse osmosis filtration systems to commercial & industrial design and installation services Vortech filtration systems have you covered. Rain water harvesting and well cistern systems are an excellent way to assure adequate water demands throughout all seasons. Design, install and service. Just a bunch of good guys offering an honest, professional and courteous service. Vortech Plumbers Duncan BC takes great pride in setting the standard for customer service and expertise. We cover from Duncan to Victoria BC on Beautiful Vancouver Island. Vortech was incorporated in 1995. Starting out as a one man company and to now a crew of 8 men in the Cowichan Valley. Vortech continues to grow and remain innovative within our industry. Charles is a Registered Red Seal Plumber as is the staff he employees and is of the opinion that people work hard for their money. As such deserve knowledge, professionalism and above all value. Charles believes in keeping things simple. Deals often on a hand shake offering a small town personable approach to business. 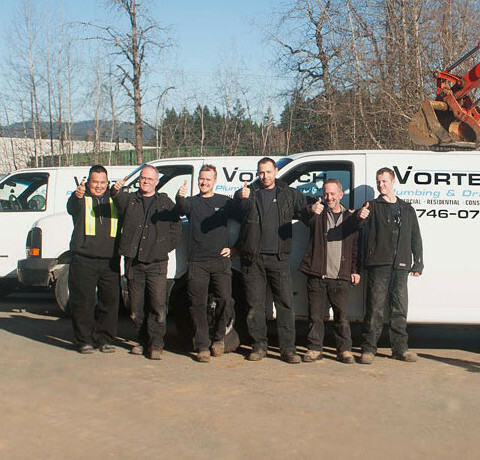 Vortech Plumbers Duncan BC combine quality workmanship, superior knowledge and low prices. We provide you with service unmatched by our competitors. Vortech Plumbers Duncan BC have the experience, personnel and resources to make the project run smoothly. 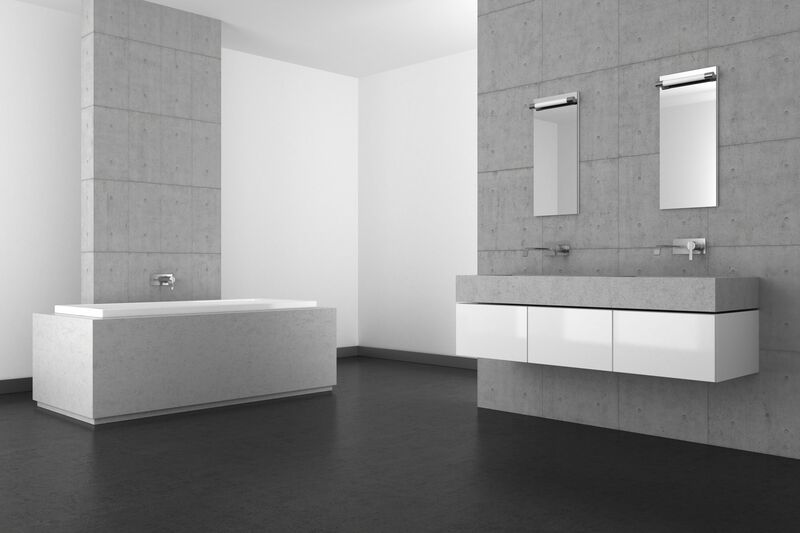 We can ensure a job is done on time and to the highest standards. Working with Vortech Plumbers Duncan BC will involve a carefully planned series of steps. Focussing around a schedule we stick to and daily communication. Vortech Plumbers Duncan BC are Red Seal Journeyman Plumbers. 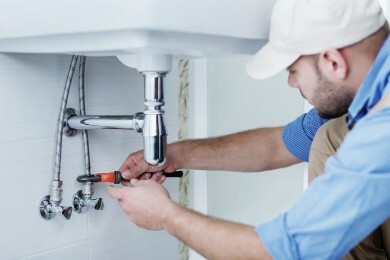 When repairs are required inside or outside your home, you can rest assured that our fully trained and qualified plumbing staff will deliver results. When you contact Vortech you can expect to be treated with courtesy and respect. A certified plumbing company operating since 1995 and always a registered BBB a+ rated member. We stand behind our work and back our installations with certification. Workmanship and customer satisfaction is always guaranteed at Vortech. 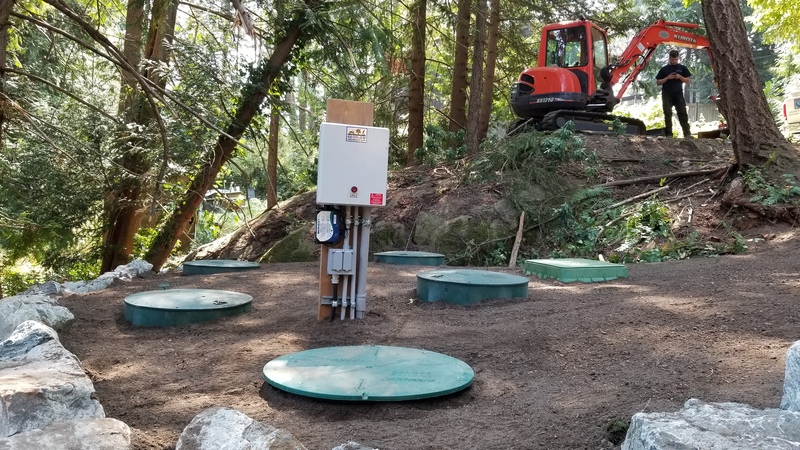 Our team provides our customers with the best plumbing, drainage, septic and gas services on southern Vancouver island. Over 90% of our customers are repeat clients which is something we are very proud of. If you want a reliable, honest service, please give us a call. Vortech was incorporated in 1995 and this year celebrating 23 years in business. Starting out as a one man company and to now a crew of 8 men in the Cowichan Valley. Vortech continues to grow and remain innovative within our industry. Charles is a Registered Red Seal Plumber as is the staff he employees and always of the opinion that people work hard for their money. As such deserve knowledge, professionalism and above all value. Charles believes in keeping things simple. Deals often on a hand shake offering a small town personable approach to business. A proud member of the Better Business Bureau since 1995 and have always maintained an AAA+ rating. Vortech Plumbers Duncan BC are celebrating our 23rd year in business. We are proud of the reputation we have built in for honest and reliable services. Vortech Plumbing and Drainage is a BBB A+ member. The highest level of accreditation available from the BBB. You can trust us to do a good job. The Red Seal Program is the Canadian standard of excellence for skilled trades. Vortech Plumbers Duncan BC are all Red Seal Journeyman Plumbers. "I cannot say enough good things about my experience with Charles and the crew at Vortech. I have used their services on two separate occasions and both times I was impressed with their professionalism and excellent customer service. This is a professional, trustworthy, and reliable company that I highly recommend to everyone. They give upfront and honest quotes. They come prepared and their work is fast, efficient, and dependable. Based on prior experience, this is not a given in this industry. So before you go with the big name alternative, consider giving Vortech a call instead. I will never call anyone else." "Vortech Plumbing Came recommended. I met Charles, we agreed on a price with no hidden fees or contracts. The following week had his two men at our house removing bathroom fixtures and installing a new Soaker tub and Shower unit. Drywall was completed and had them back to install the fixtures and trim. My experience with this company was excellent. I will highly recommend them and have to friends and family. An old fashioned hand shake style service is what we received. Such a pleasure to do business with. Great guys, good service at value price. Thanks again." "Vortech was recommended by a family member to evaluate a loss of water pressure in our home. A broken water main was determined to be the cause under the concrete slab of our home. We had three companies come and quote the job. We decided on Vortech, their approach and expertise separated them from the others and was as well most cost efficient. My husband and I were extremely pleased with the outcome and professionalism shown and as such would highly recommend their services. Fast and very organized. Excellent job." Choosing the right proffessional for our large home renovation, including two new bathrooms and laundry and kitchen, we went with Charles from Vortech Plumbing. 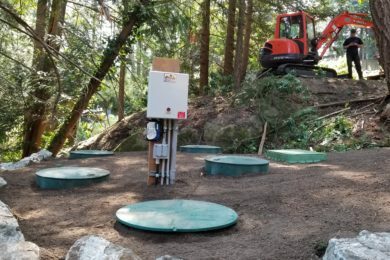 New to the Cowichan Valley we had no experience with trades and felt it necessary to phone our local municipality for recommendations as well asked others in the community. Charles's name came up on several occasions. A true professional with excellent communication and patience. The job was done well within our time allowance and the quote honored. In short a pleasure to work with. Vortech Plumbing will be plumbing our new home next spring and highly recommend their services and knowledgable staff. I had a serious drainage issue on my property. I called Charles from Vortech Plumbing and Drainage and he promptly assessed the situation and provided a logical and affordable solution. 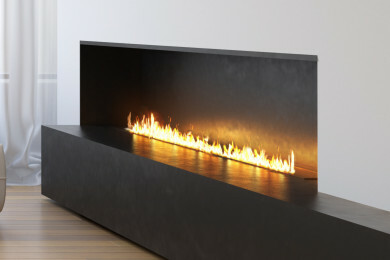 What a refreshing change to deal with a true and knowledgeable professional who quotes a fair price and then honors it!. No surprises and no hidden charges. The work was done quickly and to a very high standard. I will highly recommend Vortech. Sometimes you just luck out... Having just purchased a new home in Maple Bay we had the very good fortune of being steered to Vortech Plumbing by a friend. We had a drainage problem and needed it fixed. At first, we all assumed it was a simple job but as the digging got deeper and the problem became more complex we realized just how lucky we were to have Charles and his crew working on our behalf. Charles and his men were excellent; pleasant, hard working, as tidy as you can be working in mud, and always willing to explain what they were doing and why. Charles briefed us at each step of the way and made sure we were comfortable with their progress and direction. The end result was much better than we had hoped for and we're very happy with the work and the clean up. I would not hesitate to recommend Charles and Vortech Plumbing and Drainage (and already have) to anyone in need of drainage or plumbing work. The problem will be solved efficiently, effectively and with open and honest communication. Have a great day Charles.... and thank you. Vortech Plumbing and Drainage was selected to do a perimeter drain on the West and North sides of the Crofton Community Centre. This was a huge project with a depth of 15" feet on the west side of the building. Installing a six inch perforated system around the footings as well as a surface drain system collecting parking area water and eavestrough water. At the same time as backfilling the installation of a rain screen and two inch styrofoam insulation was applied to the foundation. The project started in the second week of July and was completed by the end of August allowing the hall not to cancel any bookings. During the whole project Vortech was in daily contact and open to sugestions, working well with both his subtrades and myself to keep the job on target and overcome some of the hidden obstacles as they surfaced. The job was fruitful for the community centre and a pleasant experience for me. I have already earmarked Vortech for two other projects knowing the workmanship is of a high standard. I recently had Vortech replace a leaking 350 foot water line on my property. Vortech responded the same day I had called, arranged to do the trenching over the long week end and installed the new line ahead of schedule. The techs who performed the work were a pleasure to deal with, very professional and efficient and the work was first class. The bill was very reasonable and the entire experience was a very positive one. Vortech fitted me into their very busy schedule, the service was exemplary and I highly recommend Vortech for any of your plumbing or drainage requirements. Founded by Charles Vorselaars back in 1995. 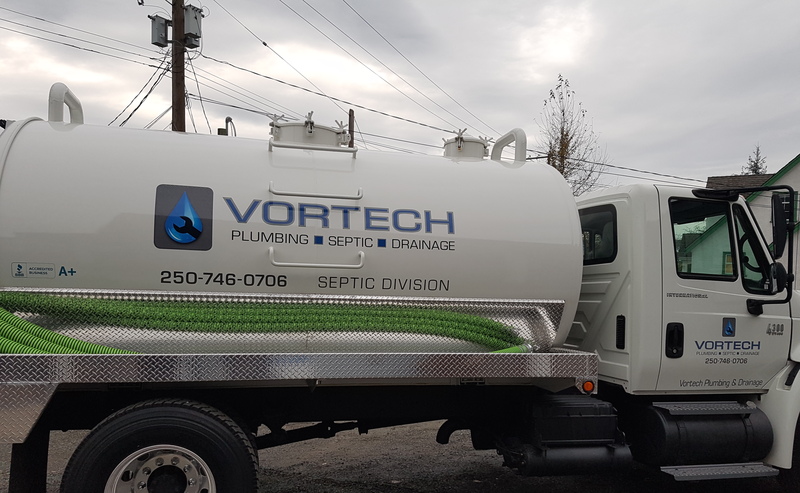 Vortech has established itself as one of the most trusted plumbing, gas, septic, drainage, providers on Vancouver Island. Vortech employees only journeymen plumbers and offers first class BBB A+ services to it's customers.